The number of homes sold in Kingstowne decreased by 4 from last month. Sellers are still seeing a strong sale to list price ratio and days on the market remain low. 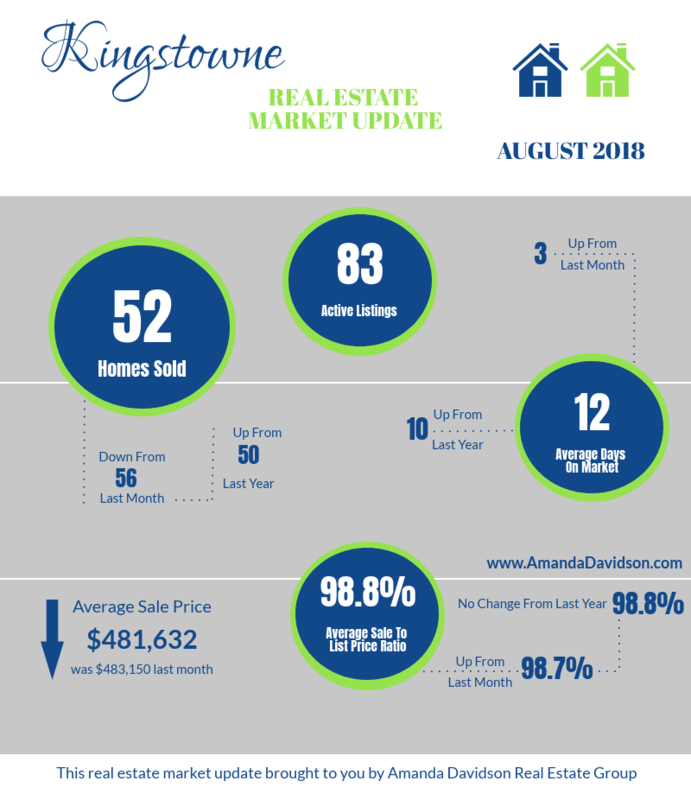 Let’s check in on what happened in the Kingstowne market during August 2018. It is still a seller’s market in Kingstowne. Throughout 2018 it has remained a seller’s market. Supply in Kingstowne continues to struggle to keep up with demand. There are currently 83 homes for sale in Kingstowne. An increase of 17 from this time last month but, it’s again important to point out that the Crest Of Alexandria a 55+ active adult community has added new construction listings and they account for part of the increase, 10 of the current listings are in the community. Inventory is still low and it remains a seller’s market. Many homes are still selling in a matter of days but, for the second month in a row days on the market inched up. That does not mean they’re high though, 12 days on the market is still extremely low but, it tells us that homes that don’t show buyers their value from day one will sit longer on the market. The Kingstowne real estate market is strong and homes continue to move quickly but, only when they show well and are priced correctly. Buyers are savvy and they know it’s a seller’s market, in turn, they expect a turnkey ready product that shows them it’s worth its price. It continues to be an excellent time to list your Kingstowne home for sale. Proper preparation, pricing, and presentation are key components to a successful sale. Positioning your home to appeal to buyers both in its condition and value will help you attain top dollar in the shortest time possible. Partner with a local agent you trust that understands the ins and outs of the Kingstowne real estate market. The smallest details make the biggest impact when selling your home. If you’d like to know more about the Kingstowne real estate market or have questions about buying or selling reach out to us. We are a small boutique brokerage with an in-depth understanding of the Kingstowne real estate market. Delivering a seamless real estate experience with personalized service to our clients is always our focus. Receive a free home value estimate within minutes. Our home value tool is just a guide if you are looking for a precise analysis of the current value of your home nothing replaces the expertise of a local agent with years of experience selling homes. Reach out to us for a free consultation.